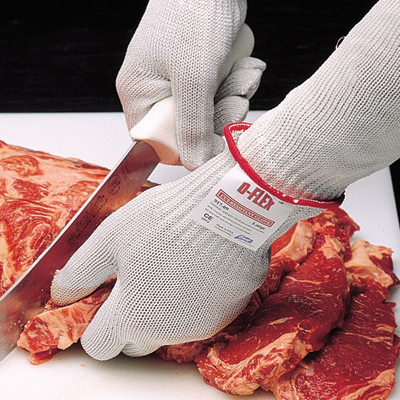 Best® D-FLEX® 10-Gauge Cut-Resistant Knit - 910 The D-Flex is a light-weight, 10-gauge seamless knit glove that represents the latest development in high performance, cut-resistant fiber technology. D-Flex offers superior cut protection with a special patented wrapping process using High Performance Polyethylene (HPPE) engineered synthetic fibers. The medium-weight D-Flex PLUS. 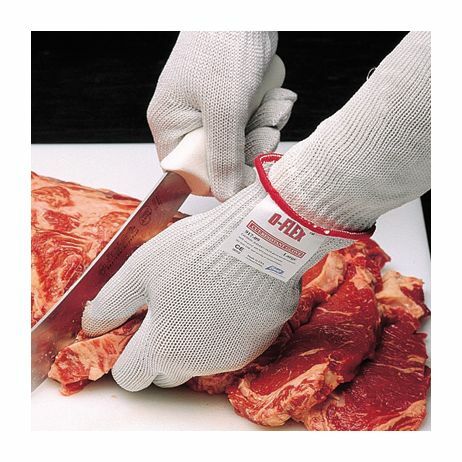 D-Flex is available with PVC dot coating that provides excellent grip as well as cut resistance in parts handling applications or without for food processing applications. All styles can be laundered. Sold by the each. Applications: Food processing, cutting, glass handling, sheet metal handling, meat and poultry industry, commercial fishing, restaurants, ANSI Cut Level 4.